This morning, my husband came into the studio to print and frame new portraits for the studio gallery. This is something that has continually moved to the bottom of the ever growing "to do" list because my priority is the client portraits. The frames for the gallery have been sitting in the corner f.o.r.e.v.e.r. and I am so grateful that they are finally getting filled and hung. After seeing the finished portrait on the gallery wall, I knew what my first post would be in this two year old empty blog. How to determine the appropriate size portrait for your wall space. For our studio, a wall portrait is anything 16x20 or larger. Everything smaller than that is perfect for bookshelves, desks, nightstands, etc. Those should be kept in places where you can pick them up, look at them closely and enjoy them while holding the image. 11x14 and 8x10's can be on the walls of tight spaces like hallways and small bathrooms where you are naturally very close to the image hanging on the wall. You wouldn't hang a wrist watch on the wall to tell time, so you don't want to squint at your portraits to see the faces. Nor do you want it so large that you have to walk to the other side of the room to see it. You want your portrait to command the space without overpowering. That is the goal. 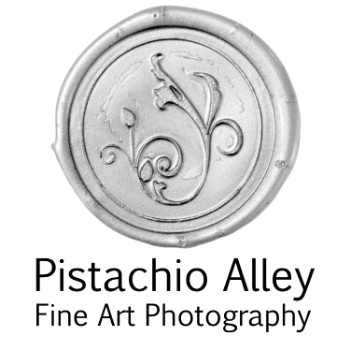 Many of my clients think a 16x20 is HUGE! It sounds HUGE especially when they come to the studio with the intent of getting "one of those big ones", meaning an 8x10. But, everyone wants to get that designer look of having the correct sizes on their walls, so I help them achieve that goal. And now I will help you too! First, you need to determine the place where the photo will hang. How large is the wall? Is the ceiling short or vaulted? Is there any furniture on that wall? Do you like the look of a single image or multiple images "clustered" together? The finished piece, whether single or multiple should be the same size. Will other things be hanging on the wall? 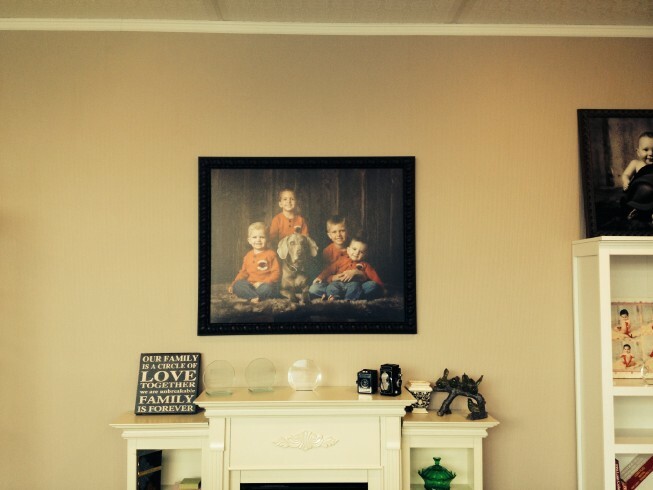 Often, people will hang sconces on either side of their photos, or in our area, animal mounts. After these questions are answered, it is easy to determine the perfect size. If it is going to hang above a sofa, table, shelves, desk, etc. the portrait should be smaller than width of the furniture by at least a few inches. It will look unbalanced if the photo is larger. Heavier styles of furniture can handle larger portraits than delicate styles. If there is no furniture on that wall, GO BIG OR GO HOME! All joking aside, you still need to keep a few things in mind. If it is a close up of a single face, it will be a bit shocking (to say the least) if you walk into an entryway and have a 60" photo of just a face right in front of you. So, if you have a large, bare wall that you are intending to decorate with your beloved family, be sure to communicate that with the photographer prior to your session so they can create the right types of photos and best showcase your family in your space. If done right, that photo will be the crown jewel of your home. These are the before and after cell phone pics of the gallery taken this morning. 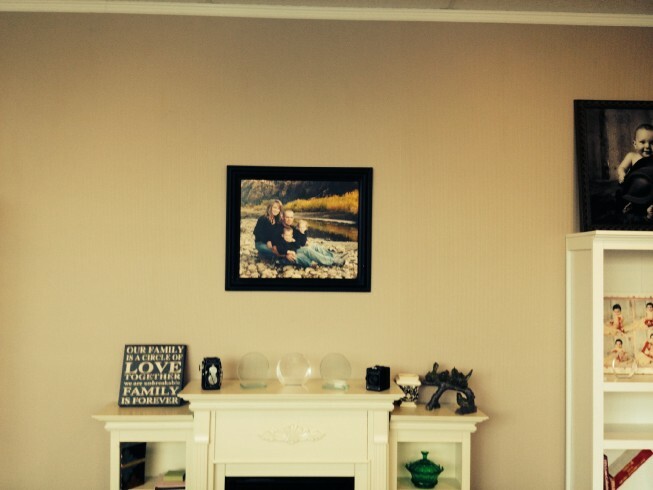 The lovely family portrait is a 20x24 and looks TINY above the fire place. Answering the questions to come up with the correct size, we came up with the image of the adorable kids and their dog. We have a very large wall, taller ceiling, 70" delicate in style fire place below the portrait location. The image of the boys is a 30x42 and looks MUCH nicer in the space.